Let me present the review of something that really works for my sensitive skin – step forward Bella Aura products! I can’t express my feelings enough about the whole line and how wonderful it is! I have started this review many times and every time it does not come out right, so I delete everything and start again. And again. It’s just because there is so much I want to say and so much joy I want to express, the words are tumbling down faster than I can write them down. Let me put it in a nutshell – my sensitive skin found home! I am so amazed at this, as every single product in the line works amazingly well for my skin, and when used in conjunction I have clear and happy skin. And continuously so! I never had this with any other line or brand, and I never seen my skin changing so fast either. Needless to say I recommend this brand to just about anyone, because if it works for me, with uber sensitive skin, chances are it will work for you too. skin receives a supercharged cocktail of vitamins, minerals, antioxidants, peptides, hyaluronic acid, coenzyme Q10 and more, delivered in a creamy white emulsion. During use, my skin was the clearest it has ever been—and I’m not exaggerating. Bella Aura is starting to collect awards, so don’t just take my word for it – the line speaks for itself! Bella Aura line came about when Yasmine Jones, the creator of the line, was suffering from deteriorating skin & acne scars after going through a traumatic experience with her mother’s battle against leukemia (You can read her full story on Bella Aura website, link at the end of this post). After spending thousands on skincare products and consulting with skincare specialists, she found nothing was working to improve her skin. It was during a trip to Morocco that she met a prominent chemist/herbalist who believed that his oils would help her skin and after months of trying them, she began to see her skin improving. Yasmine wanted to add active ingredients to these oils, and with the help of Swiss skincare technology, Bella Aura line was born. According to Yasmine, most skincare regimens incorporate both serums and creams in order to balance out the advantages and disadvantages of each. By combining them into an emulsion for Bella Aura’s blends, the best of both is fused into one. There are only five products in the line so far (hold the horses for not one, not two, but THREE new products launching super soon! And what’s more, there *might*be a giveaway for them on my IG page. What can I say, I am so excited!) and they work amazingly well together – there’s emphasis on less is more, and I have to agree in this case – these products are all my skin needs. For the most part, that’s it, but let me explain that further on in this review. The textures are that of thin lotion, but do not let that fool you – they are true powerhouses of amazing ingredients blended together into a powerful fusion. Yasmine describes it as a serum in a cream emulsion. As the products are light, they sink in very quickly, leaving no residue or heavy feeling you sometimes tend to get with oils. If it worked amazingly well for me, it will work for you too. Let’s see some amazing ingredients in these products? All of the minerals and vitamins in Bella Aura products are derived from natural botanical fruit and vegetable extracts. Black oats, Nigela Sativa oil (also known as black cumin or black seed oil) and prickly pear (also known as fig de barbary or cactus oil) are the key ingredients in products. Black Oats contain lipids and proteins which have humectant and emollient properties that help to moisturize the skin keeping it soft and supple. They also contain antioxidant properties making them extremely anti-aging, and helps with inflammation as well. Black Oats are known for helping with more sensitive skin conditions such as eczema and psoriasis. and they also contain saponins which make them a gentle cleanser for more sensitive skin. Nigella Sativa is a flowering plant that originates from Southwest Asia, India and North Africa. The flowers are usually white and pale blue. They belong to the plant family known as Ranunculacease (buttercup family). This miracle oil has been used in traditional medicine as a remarkable healing agent with powerful restorative properties since the beginning of civilization. Originally, it was called Panacea, which means to cure all. It is said that Cleopatra used Nigella Sativa oil in her beauty routine for hair and skin. It was also reported that the oil was found in the tomb of King Tut in Ancient Egypt. Bella Aura uses Nigella Sativa that farmed and processed in Morocco. They work in partnership with local farmers to produce 100% premium, natural, organic Nigella Sativa seeds, and never use any chemicals or pesticides during the planting, farming or production process. The virgin seeds are cold pressed, bottled in dark glass bottles and stored in a dark cool place to ensure that the chemical properties of the black seeds are retained. Nigella Sativa, (also known as Black Cumin Seed or Fennel Seed) contains over 100 chemical compounds that are direct contributors to having beautiful skin. This is the most powerful oil in the world with a significant amount of protein and exceptionally high in antioxidants. It is rich in unsaturated fatty acids, calcium, selenium, magnesium, iron, beta-sitosterol, copper, zinc, potassium, paltimol, niacin, vitamins A-B-B2&B3-C-D&E in the seeds. Nigella also delivers the essential Omega3&6 fatty acids that are not produced naturally by the body. This extraordinary oil also has anti-inflammatory and anti-fungal properties. Nigella Sativa oil is renowned for keeping your skin looking flawless, young and radiant. This powerful oil helps prevent blemishes, fine lines, age spots, dry or oily skin. Some clinical studies suggest that it is beneficial for removing scars in the skin as well. Fig de Barbary, also known as (Prickly Pear, Cactus Oil and Opuntia Ficus Indica) is one of the richest oils that fortify the skin with the essential vitamins A-B1&B2-C-D-E-F-K and Omega 3-6-9 fatty acids. It also delivers a wide range of the vital minerals magnesium, zinc, iron, calcium, potassium, thiamin, niacin, beta carotene, amino acids, selenium and many more. Fig de Barbary is miraculous oil that acts as a natural barrier against free radical damage, which is the major cause of premature aging. This extraordinary oil has a powerful anti-oxidative activity and high moisturizing value to rejuvenate mature skin for a remarkable lifting effect. It reduces dark circles under the eyes, hydrates, smooths, firms and refines skin texture plus brightens the complexion. It is a true beauty elixir that is quickly absorbed into the skin and leaves no greasy residue. This age-defying oil contains almost 150% more of the anti-aging antioxidant Tocopherol in comparison to any other oil in the beauty care industry, including Argan oil. The Fig de Barbary oil is produced in Sidi Ifni that is located in southwest Morocco. It is one of the most expensive oils in the world to extract and requires the production of about 1 million seeds to acquire just one liter of this precious oil. Our Fig de Barbary plants are completely pure and organic with no chemicals or pesticides used during the farming process. Omegas 3-6-9s play an important role in all skin conditions, such as combating wrinkles, lines, acne, eczema, psoriasis and even dry, flaking or very oily skins. These good fats are credited with helping your skin’s cell membranes stay healthy, which acts as a barrier to harmful exterior conditions. The cell membranes influence the cells ability to retain moister, thereby producing a softer, more subtle and more wrinkle-free skin. The anti-inflammatory compounds in 3-6-9s help to affect how healthy the skin looks and feels during the aging process. Magnesium is a powerhouse mineral that is essential for keeping your skin performing at its best. It has anti-oxidant clout with enzymes that regulate DNA replication and repair to prevent the skin being subject to a host of wrinkle-producing malefactors, such as free radical damage and inflammation. Without the DNA repair from Magnesium, you will continue to be assaulted by free radicals and it’s only a matter of time before fine lines and wrinkles begin showing up. Zinc is beneficial for many acne sufferers who are deficient in zinc. Once they start obtaining zinc in their daily regimen, their acne often improves. It is a trace mineral essential to all forms of life, such as gene expression, cell growth and cell replication and especially important for clear skin. Calcium includes cell renewal, lipid barrier function, and antioxidant protection from DNA damage. Calcium is the most abundant mineral in the human body and a deficiency can manifest itself in skin dryness, itching and premature wrinkling. Potassium is a vital indicator of healthy looking skin because it is a key player in cell integrity by maintaining electrolyte balance and internal fluids, thus keeping cells hydrated and skin internally moisturized. Beta Carotene is a carotenoid known for its antioxidant properties. Its ingredient in skin care products can include skin cleansers, facial moisturizers, foundation, sun products and anti-aging treatments. Beta-Carotene provides protection against sun damage and helps to even out skin tone and improve skin texture. Amino Acids are the building blocks of beautiful skin. They help to produce collagen, elastin, and other proteins and fibers for strong, soft and desirable skin. Selenium has a number of positive attributes in skin care with the key role relating to its antioxidant properties and ability to tackle free radicals. Free radicals result in the disruption of living cells such as skin cells. Selenium helps to retard negative environmental factors such as pollution, radiation, cigarette smoke and herbicides, which can spawn free radicals. Copper holds promise for prolonging youthful looking skin. It plays an important role in maintaining healthy skin because it helps to develop collagen and elastin, which maintain the strength of the skin for less sagging and fewer facial lines. It also has antibacterial and antifungal properties, which help prevent skin infections. Sterols are natural compounds derived from plants, fruits and vegetables and essentially vegetable fats that enhance the human immune system. Phytosterols are extracted from different botanical sources. Phytosterols contribute to the structure of the cell membrane and have anti-inflammatory properties, which contributes to anti-aging properties. Phytosterols and polyphenols improve sun-damaged skin. Carotenoids come from fruits and vegetable and help your skin’s complexion look healthy. They travel through and get stored in our bodies with the help of fats and enhance skin color and tone for a beautiful glow. Ferulic Acid is found in the cell walls of plants and acts as an anti-oxidant that seeks and destroys several types of free radicals that cause skin damage. It act synergistically with other antioxidants such as Vitamin C & E and makes them more effective and powerful in preventing wrinkles. Lemon Balm contains romarinic acid, which offers stronger antioxidant activity than vitamins C and E. This antioxidant-rich botanical helps to prevent free radical cell damage. Rutin is a type of bioflavonoid that has a very high anti-oxidative capacity and the ability to increase collagen production for reducing fine lines and plumping the skin. It also acts as a protectant from oxidative damage caused by sun exposure. AM: no cleanser, refreshing my skin with thermal water and konjac sponge or washcloth. 1 pump of Instant Lifting Eye Contour, applied on the under eye area, upped lid, eyebrows and around lips. 1 pump of Instant lifting Eye Contour, applied like in the morning – on the under eye area, as well as on the upper lids and around the lips. As I already mentioned, I shelved or rather refrigerated all the other facial products I used and stopped all PR products when it comes to skincare. What can I say, coming from a beauty blogger, this is BIG. 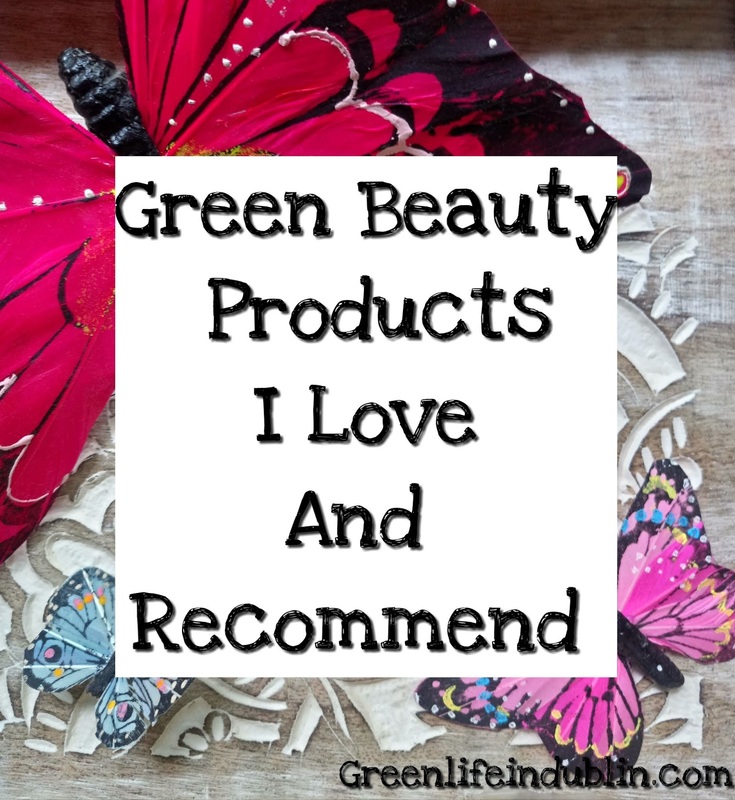 I think you already got the impression on how great my skin loved these products (see the gushing at the beginning of this post) . Also worth noting is that when I first tested the products a year ago, I tried to stop using the entire line and go back to my usual products only incorporating one or two Bella Aura product into the set up – and that’s when my redness and skin irritations came back. So that’s why I wouldn’t recommend getting just one of moisturizers if you are new to the brand, you might not see the full potential of the products, and/or it might not mesh well with whatever else you are using. I would recommend getting a sample set first, and using all the Bella Aura products together – in the sample set you will get 10ml of each of the product, and trust me, they will give you enough use for a couple of weeks – plenty of time to see if the products are for you or not. I can bet you will end up falling in love with the products in the first couple of days, just like I did. The day and the night creams are very similar in consistency, as well as how they feel on the skin, but upon inspecting the ingredients I realized they have different ingredients, thus you might not cut corners and use only one of them. The Antioxidant Booster is a true star in my book, makes everything so much better and my skin truly likes it. For a while, I wondered how it would perform boosting my other creams I own, but at the same time I didn’t really want to try it, as I enjoy using Bella Aura exclusively too much. The eye cream works great, is light and sinks in quickly. I was a bit worried about it at first, as prior to this, I only used under eye oils for two years straight (Earthwise Beauty Passion Eye Serum and Wabi-Sabi Botanicals Budhi Eye Nectar – they might be called serums or nectars, but in reality they are oils). So I was a bit worried about not getting enough hydration in this delicate area, but my qualms were quickly squashed, it works great! It is also the first eye product to make a difference in darkness I have – not a stark night-and-day kind of difference, but I am impressed nonetheless. The cleanser I too found great, the same milky consistency like other products, but you get huge bottle of it, and must say it works great for my sensitive skin, it does not irritate it, which is super rare for me. It does not lather, but it cleans your face nonetheless. I find no need to double cleanse, and it takes all of my make up beautifully in one use. Even eye make up, but please take my advice and do not open your eyes when doing it. Rinse well first. Just saying. Yasmine herself is the best advert for her brand – not only she looks drop dead gorgeous, but what drew me in was her gorgeous soul – so I am so glad green beauty community connected us! She not only supports several charities and works with the communities in her native Morocco, but I also witnessed her supporting her fellow green beauty sisters in a big way – she donated a portion of her profits to Lily’s aka Genuine Glow hubby’s cancer treatments, as well as when Taylor from My Lucite Dreams lost her home (and a dog) to a fire. Now, how amazing and thoughtful is that?! Be sure to check out the blog portion of her website and her Instagram too – you can find so many helpful tips over there, as well as facial massage videos – I think those are well worth checking out. My overall thoughts – I was deeply impressed by every single product in this line, and honestly, I can’t even begin to pick a favorite! This truly is a beautiful and thoughtful line that really does deliver on its claims. My skin is so temperamental and difficult to please most times and during the entire testing period (about 1 year now, if you can call 1 year a testing time? I think we can all agree it is so much more that that), my skin is calm, clear, hydrated and just healthy looking, which it hasn’t been in a long while. I know it’s not the most wallet-friendly brand, but trust me, it is worth every single penny! As anyone with the troubled skin know the value of good skin days – it gives you wings and this new found zest for life! And that to me is priceless – I am willing to stop spending all my money elsewhere “for the sake of blogging and reviewing content” and truly invest in me, you know? If you asked me to point out anything bad about the products, the only thing that comes to my mind is that the eye product could do with a different pump – the way it is now, I find it dispenses too much product, and I can’t half-pump it. With the amount it gives, I can easily do under eyes, upper lids, eyebrows, around the lips, and oftentimes I find I still have some product left, which I use on my neck. But that’s a good problem to have, isn’t it? Bella Aura products have had a make over with new packaging and slight formula tweaks, so this might be the last time You see this packaging, although I am sure my and BA love affair will continue. It’s the same as finding THE ONE – you just know! You can get it from BellaAura.com (use my code “renata15” to get 15% off your order) and EU distributor for it BeautyWiseShop.be. 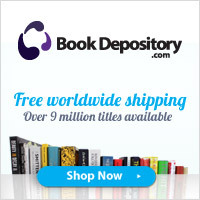 You can find the list of all other online shops on the Bella Aura website. Have you tried Bella Aura products? What are your thoughts on them? Please share, I would love to know! Psst, keep your eyes peeled for the launch of the new products and my first impression review post very very soon! That’s all for now! Ta-ta & I will see you here shortly. Always new posts on Tuesdays. Ps. I have since been asked to be Bella Aura ambassador, and of course, I said yes in a heartbeat! *Post features PR products and an ambassador link. So you’d know and we would be on the same page. Today I am coming at you with a review of some fabulous natural perfumes that are still into my Top Three Favourites, ever since they launched a little more than a year ago, and I wanted to share my thoughts with you. Walden Natural Perfumes are 100% natural and made from the finest absolutes, resins and essential oils in the world. They are named after Henry David Thoreau’s seminal novel Walden. Part meditation, part handbook for simple living in natural surroundings the book has inspired countless readers and Walden Perfumes is proud to follow in those footsteps. Offering a natural alternative to mass-produced fragrances made by industrial processes and shilled by celebrities, Walden Perfumes is proud to return to the glory days of real perfumery when fragrances were made by hand in small batches from natural ingredients of the finest quality. They are housed in simply stunning bottles, they are very simplistic, but elegant, there’s chunky square glass bottle with a wooden lid and a simplistic label. The fragrance feels very decadent and luxurious to me, exactly the way I like my perfumes to be. There’s five scents to choose from. I chose “A Different Drummer” one as it appealed the most to me, and I am pleased to say I got it right (sandalwood and amber – yes please!) – I can’t stop oohing and aahing over it ever since I got it! I fully intend to try samples of them all as the time goes by, “A Little Star Dust” is calling my name too, but I am sure “A Different Drummer” will be in my favourites forever. When first applied, it can be a little heady and strong, but soon sinks into your skin and transforms into a natural scent that smells classy and exotic at the same time, almost one of a kind! I like not smelling like everyone else, and that is exactly that type of a smell. Choosing fragrance is very personal to me, and that is why I am so picky about it, I reject 95% of the fragrances easily. That is why I am so chuffed with myself for getting it right from the very start with Walden. The scent can easily be worn by men or women, I noticed my hubby sneakily using it too. I simply adore this scent and I am simply under the spell and utterly in love with it! I look forward to wearing it – that is saying something, believe me. 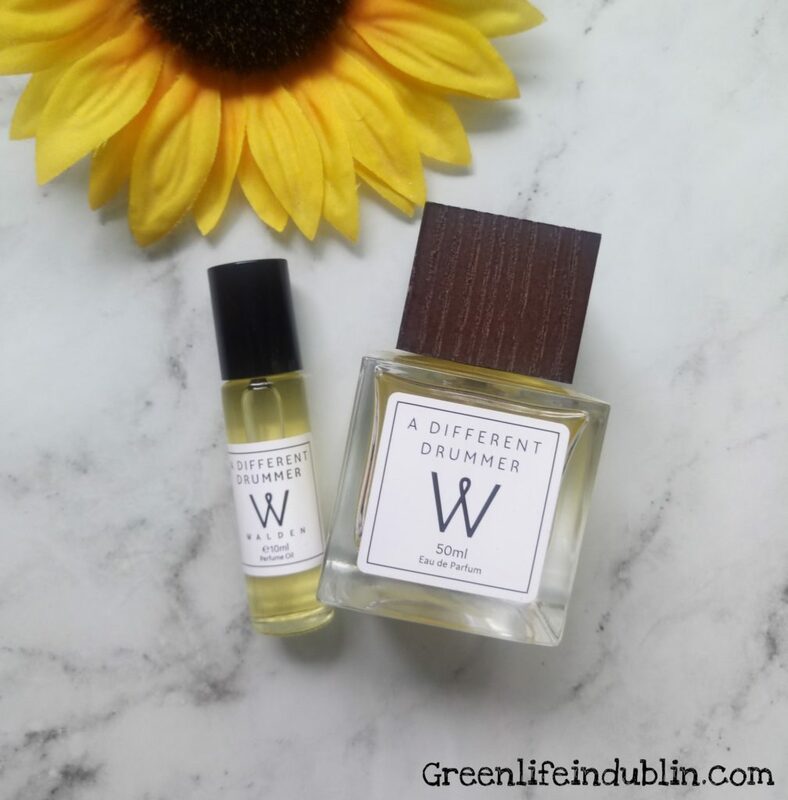 Well done, Walden Natural Perfumes, your products are simply exquisite! I am looking forward to wearing them for years to come. As you can see from the photos, I love it so much that I invested in a baby roll version of it, so I could carry it with me at all times! The fragrances are available in a few different formats, 50ml bottles, 15ml purse sprays, 10ml oil based roll ons, cutest baby roll ons bottles that you can fit in any sized purse, and of course, sample sizes, so you can try before you buy. Don’t you love samples? All available via LoveLula. That’s it for today. 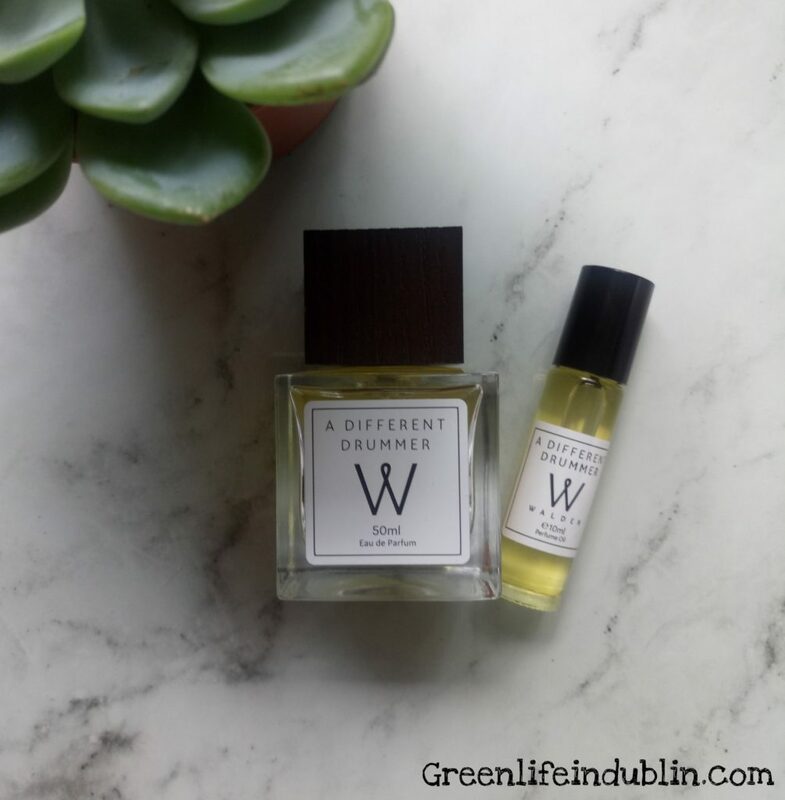 Have you tried Walden natural perfumes yet and which one is your favourite? What natural perfumes are you guys loving? Please share with me, I would love to know! Loved this post? Please share it on your social media to get the green beauty word out! You will have my eternal gratitude 🙂 Let’s be friends all over social media too, my links can be found on the right hand side of this post. 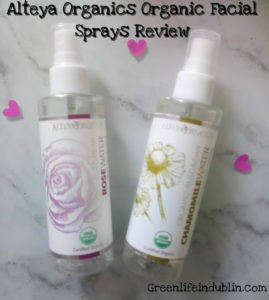 See my last Love Lula post here – a review of Alteya Organics Facial Sprays. For more All Things Love Lula, please see this FB album here – 40+ reviews & posts. That’s it for today, see You here next Tuesday. *You can’t use my content or my photos without my permission. Today I wanted to talk about recent love of mine, Alteya Organics facial mists, Organic Bulgarian Rose Water & Organic Bulgarian Chamomile Water. The brand is new(ish) to Love Lula, but have been in business for many years. Alteya Organics was born in 1999 but growing and caring for roses has been a family tradition for over a century, since the early 1900s. Their organic rose fields, shielded by the slopes of two majestic mountain ranges, are in the heart of the Bulgarian Rose Valley, the land of Thracian Kings and home to the world’s finest flower – the Bulgarian Rose. I don’t know if you have experienced a true smell of rose essential oil, the true finest quality oil – and let me tell you, you are in for a treat! Alteya Organics products are the real deal, and my nose agrees! I am not a expert of essential oils or anything, but I remember my mom using rose otto as her perfume when I was very little, so the smell is ingrained into my memory very deeply. You could smell if on her for days people! So the first whiff of the Alteya Organics Organic Bulgarian Rose Water took me back to that happy childhood place – isn’t it amazing that a smell has a power to evoke memories we thought we forgot long time ago? 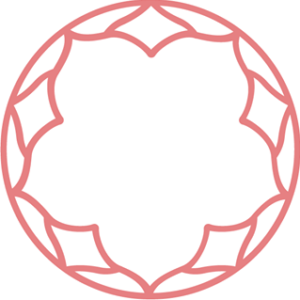 Obviously the rose water is not the essential oil, but you know what I am trying to say – the products do have the same scent profile and I am so happy to finally found true rose products, the way they should be, and certified organic, no less! A match made in the Green Beauty Heaven. If you think you are not a fan of roses, because all you experienced was that synthetic sickly sweet rose smell, or worse still, musty “grandma’s” rose smell, I would highly suggest you give this company a try and you will be a new convert! I know I am so happy to finally rediscover true rose products and a company I can trust. Up until now I haven’t had much luck when it comes to rose scented products in the green beauty realm, I have tried a few, but they never delivered on one count or another. You might think why I am singing so much praises for this brand if I only have tried two face mists from them? Well, that’s not quite a case, I am also using (and loving) their Alteya Organics Rose Otto Regenerating Concentrate (and a handful of samples), and me and the brand are collaborating on further product reviews very soon, so expect to hear about some more products soon. The Regenerating Concentrate is in testing phase and not yet in review phase yet, which is why I am starting with the facial mists. Both of them are in heavy daily use for months, and I love them both equally! We all know how good rose water is for your skin, and I am making sure to treat my face (and hair) to it daily. I even use it as aura mist and to hydrate the dry office air as well. Basically I need endless supply of it! Same with camomile water, although I have to say I reach for it for the facial misting purposes more often than not, I find it very good at soothing my skin when it is irritated or experiencing yet another dermatitis breakout. By the way, little side note here – if You haven’t got on well with the smell of Balm Balm Chamomile hydrosol, try this, this smells much more milder and more chamomile tea like. I know both of the products will be repurchases for life, that’s for sure! If you follow me for some time you know that I have a very very sensitive and dermatitis prone skin (lucky girl, I know), which is why I am afraid of trying any new skincare products – I am most likely to experience irritation, even if the label says “suitable for all skin types”. And before you ask, no, my skin is not sensitized, it is sensitive, and it has always been this way, ever since I was a newborn. No, I don’t test new products every single day or even week, and no, I don’t overload my skin with too many products and actives. No, I don’t exfoliate my skin too much, once a week or every two weeks, that’s about it. 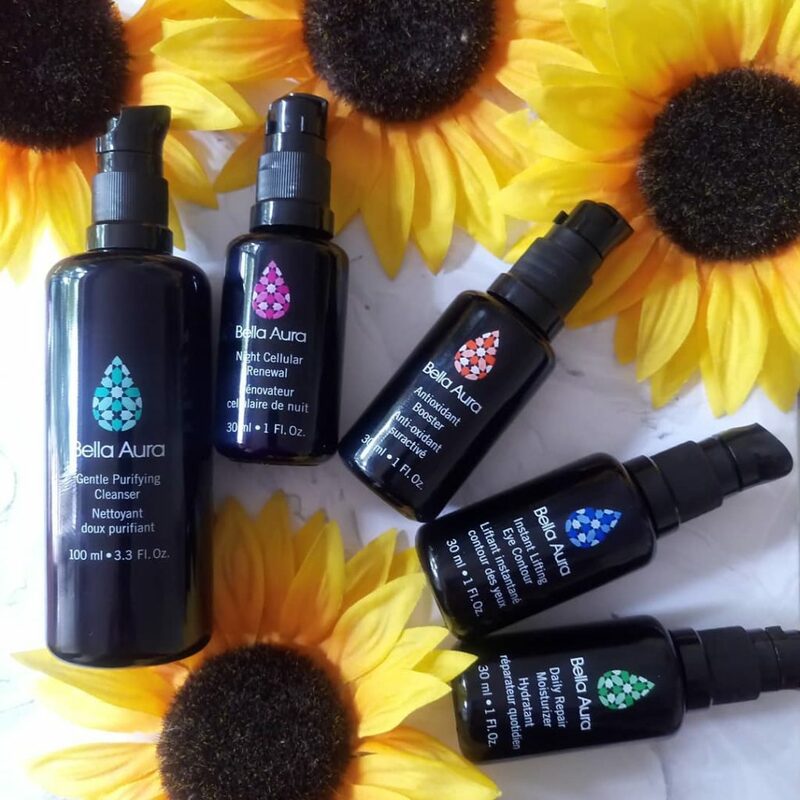 Very few products go on my face on a daily basis, usually it is my beloved Bella Aura skincare (review), tried and trusted sunscreen, one of these facial mists, and that’s about it. Yes, I do test a new skincare product from time to time, as a blogger I have that kind of responsibility, but boy, I am becoming so selective to what goes on my face. Well, you kind of have to, when you realize you are much too sensitive to what a green beauty world has to offer, don’t you? Very happy to report no irritations to Alteya Organics products, or should I say products I have tried so far, we will see what the future holds – but I am excited about it. Back to talk about the brand, shall we? The family owned company grows and harvests roses and lavender, and distill premium organic rose and lavender essential oils and flower waters using generations-old recipes. They also offer a wide range of organic plant extracts, oils and herbs from the eco-regions of the Balkan Mountain. After many years of extensive research, they enhanced our proprietary steam-distillation method that marries 400 years of tradition with science, to extract flower essences that are dermatology-grade and retain the therapeutic properties and synergy of the plants. For years, Alteya’s scientific team has been researching ancient traditional recipes and the miracle effects of organic rose oil (rose otto) on skin. As a result, they were able to produce rare and limited rose Organic skin and body care based on old proven formulations enhanced to specifically meet the skincare needs of modern, eco-savvy people. It is based on an exclusive compound, their proprietary Bio-Damascena Skin Reviving Complex – a combination of organic essential oils and extracts combined with Organic Rose Otto – designed to improve skins resistance to environmental factors and slow down the aging process. Now tell me that doesn’t sound amazing? I sure want to delve more into that! They work hard to ensure that Alteya Organics creates products that are superior to those from other companies in the industry in terms of quality, potency and benefits. One other key highlight that distinguishes them from most other natural and organic companies is that we adhere to the strict USDA organic standard. Needless to say, they have rigorous company policies and procedures in place that ensure that every single item they produce passes detailed quality inspection by the company staff and where applicable, by third-party laboratories. 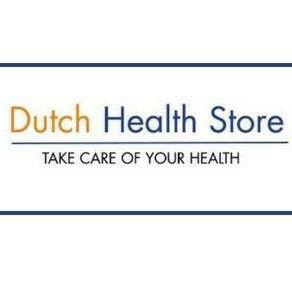 They are committed to providing superior quality, environmentally safe and organic skin and body care products as well as aromatherapy ingredients to satisfy the needs of our customers. If you are intrigued, you can get them from Love Lula, one of my favourite online shops ever. No hard push, I am not all about that life – if you know me for some time, you know I am only sharing the love for products I truly love and believe in myself. It is safe to say they have got The Green Life In Dublin Seal Of Approval! First and foremost I wanted to say HUGE THANK YOU FROM THE BOTTOM OF MY HEART to each and every one of you who read my blog, followed me on my green beauty journey – I love you guys! 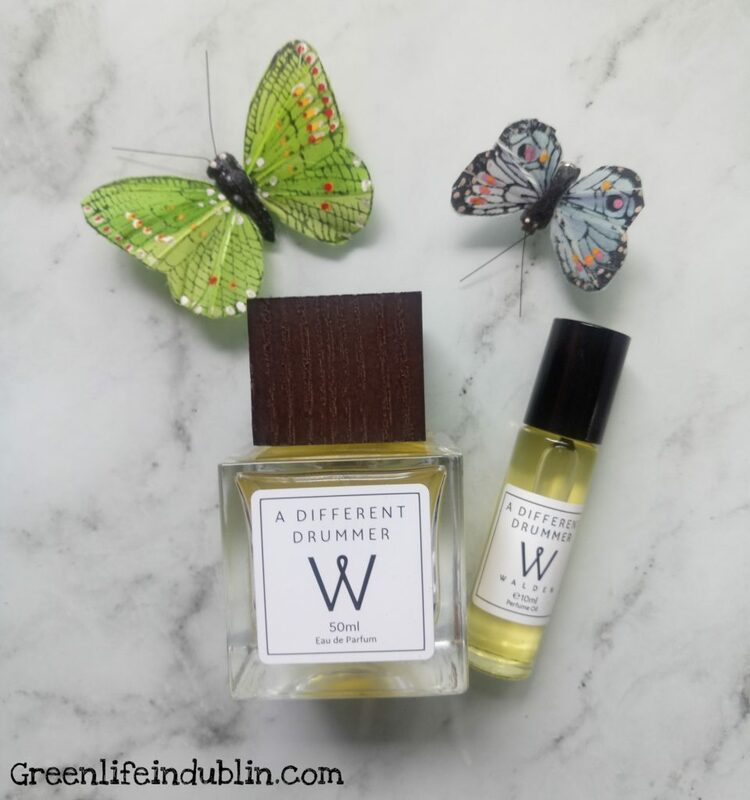 If Green Life In Dublin Awards existed, these would be it! Each and every single product is well and thoroughly tested by me – I would never dream of recommending a product I haven’t used and loved myself. Save 15% with my code “renata15” on Bella Aura products – my nr 1 skincare. All Holy Grails for a few years now. Pure Anada Loose Mineral Foundation used a a concealer. More pigmented than some powder concealers I’ve tried. Blush is my happy place, so I couldn’t chose just one. I hope this was in any way interesting and/or helpful to you, and if it leads to at least one person finding a good product, then my work is done. Please be on the lookout for the reviews of many of these products, and let me know your favourites as well, so I could check them out!